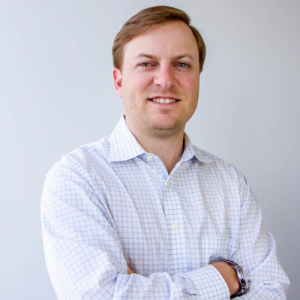 Before attending business school at the Cox School of Business at SMU, Will was a Senior Director of Business Development at Research Now, a Dallas-based data and insights company, serving consulting and investment firms, as well as private equity portfolio companies. During his 8 years at Research Now, Will helped grow his business unit over 400% by identifying and acquiring new customer segments and by leading the team’s go-to-market strategy. Will’s passions lie at the intersection of technology, customer insights & data, and analytics as a platform to help brands discover audiences, to understand them, and to activate them to power growth. Prior to Research Now, he attended the University of Texas at Austin where he earned his bachelor’s degree in Spanish, with a minor in Business. During his time in Austin, Will was President of his fraternity, Kappa Alpha, and was a member of The Silver Spurs, the organization which takes care of Bevo. Will and his wife, McCary, live in the Park Cities with their two children. Outside of work or the classroom, you can find Will at a local park with his kids, watching Spanish/English/Champions League soccer, listening to lectures and podcasts on The Great Courses, golfing at Northwood Club, or traveling with his family.